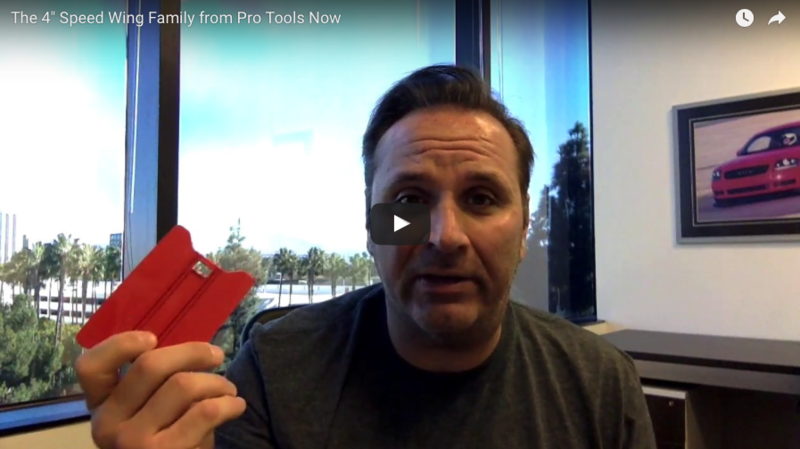 This video review by Patric Fransko focuses on the 4″ Speed Wing installation tool family by Pro Tools Now. These tools are designed with “wings” to enable the installer to reach tight areas typically out of the reach of most bump, bondo, teflon and hard cards. The Speed Wings also come with a unique feature of having one flat edge and one curved edge. The curved edge is designed with Pro Tools Now proprietary Control Contour Technology (CCT). This feature enables the tool to encourage a finger or bubble to disperse outward which reduces the chances of a crease. The Speed Wings are available in three levels of stiffness; Cherry (soft), Lemon (Medium) and Lime (Firm). In addition to the 4″ size, they are also available in 6″ and 8″ sizes. Contact your local tool supplier and ask for the Speed Wings by name. You can also learn more by visiting the product page by clicking HERE.